If you’re in need of a few new pieces to wear to the office, look no further. We’ve scoured the latest arrivals at some of your favourite stores to bring you the BEST office-ready pieces—and they’re affordable to boot, with every item under $200! From the chicest pair of oxfords ever, to the perfect denim dress you’ve been searching for, your 9-to-5 style is about to get a major promotion! Scroll down to shop the pieces that are sure to make getting ready for work much easier! The colour of the season is even better when adorned with eyelash fringe. These drapey trousers are perfect for casual Fridays. A sleek, pointed toe makes these kicks surprisingly feminine. Interesting details take this simple skirt to the next level. A lightweight, camel-coloured topper is a great transitional piece. Check out the cool side-detail on this closet essential. This trench-coat-inspired skirt is pretty much genius. Meet the blazer you’ll want to wear every day this spring. A roomy tote is the only work bag you need—especially if it’s in a versatile camel hue. 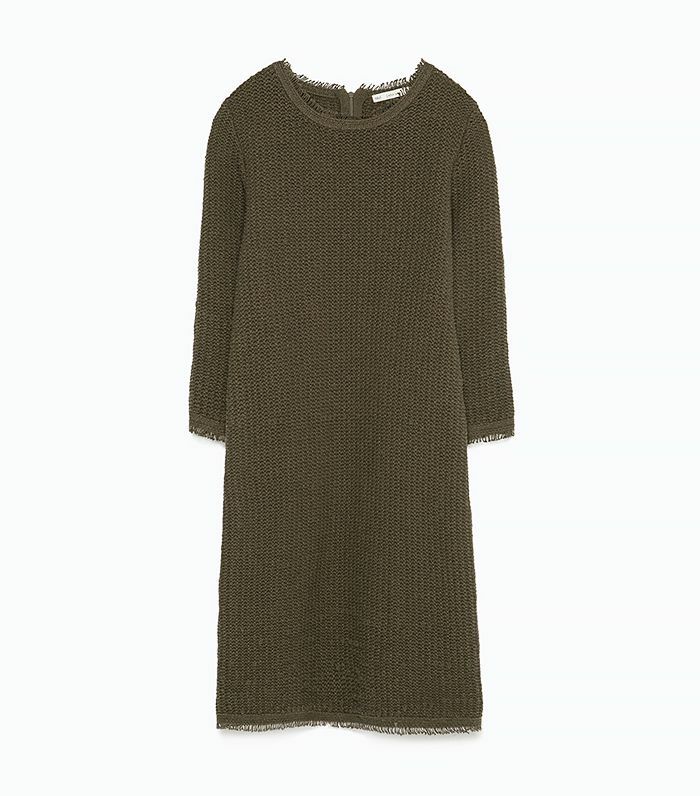 This dress in a word: Flattering. You’ll definitely look like the coolest girl at the office in this vibrant blazer. Dress this shift up with a pair of block-heel mules and a silk scarf. Cropped pants are the most stylish, in our opinion. Try swapping your blazer out for this cool vest. Pair this pencil skirt with a camel sweater for a perfect transitional outfit. You’d be surprised how many hues you can pair with pale pink! This skirt easily transitions from day to night. A little classic, a little cool-girl. Culottes disguised as a skirt equals the best of both worlds. This blazer is a great option for any type of office, from conservative to creative! We love the subtle sporty element of this sweater. A cosy cardigan is an over-air-conditioned office requirement. In case you haven’t heard, gingham is a huge trend for spring. 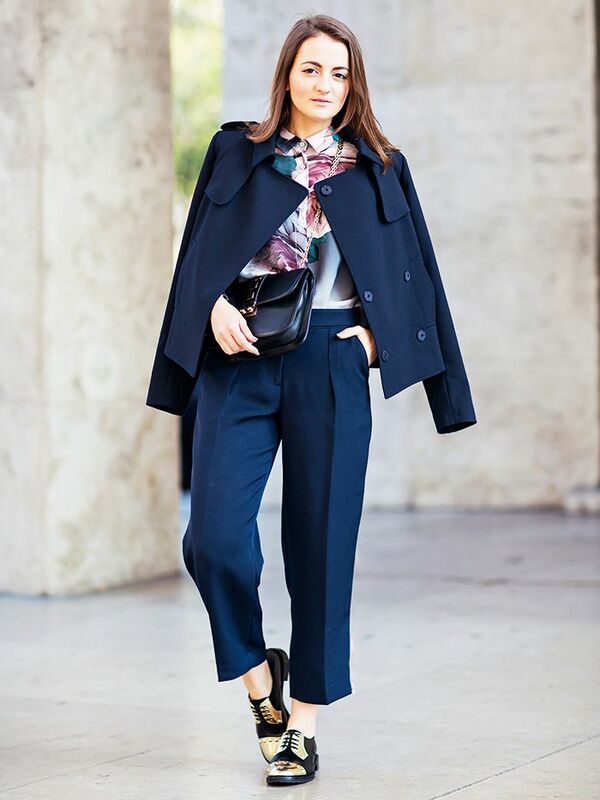 Belt this flowy trench over your floral dresses for a professional look. What’s your favourite store to shop for office attire? Tell us in the comments below!